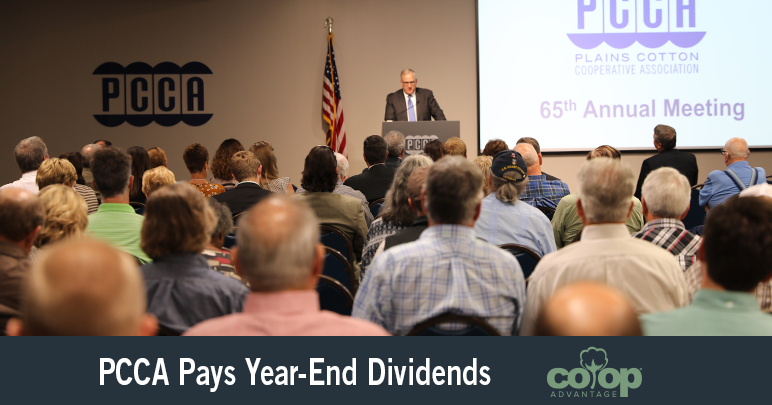 Proving yet again that true co-ops work for you, The Co-op Advantage®️ regional co-sponsor Plains Cotton Cooperative Association announced year-end cash distributions of $30.71 million to its grower-owners at its 65th Annual Meeting on September 19, 2018. The distribution consists of $15.9 million in cash dividends and $14.81 million in stock retirements and base capital plan retirements. PCCA also reported its Warehouse Division received a record 2,155,212 bales as of the end of June 2018. Founded in 1953, PCCA is a marketing cooperative owned by producers in Texas, Oklahoma, Kansas and New Mexico and is dedicated to supplying sustainably-grown, high quality cotton fiber around the world. In addition to cotton marketing based in Lubbock, PCCA also owns cotton warehouse facilities in Texas, Oklahoma and Kansas and develops and offers software programs and networks to local co-op gins that help add value to their grower-owners’ cotton. Emphasizing the importance of being part of true co-ops, Brinkley addressed the annual meeting attendees, encouraging the grower-owners of PCCA to work together to increase the value of their production. “I imagine a day when growers in the southwest United States truly gain every dollar of potential from their crop,” he said. Brinkley praised the growers and ginners who worked tirelessly during the 2017-18 crop year, emphasizing this is the first in PCCA’s history that the regional co-sponsor received cotton 12 months of the year. “We get the privilege of working for you, because of the long hours and effort put in by you and your families,” Brinkley said. “We know the huge risks you take every time a crop is planted, and that’s why we come to work every day to help make sure your effort pays off. Thanking PCCA grower-owners for making “this co-op a community where we all do better together,” Brinkley underscored the meaning of The Co-op Advantage. 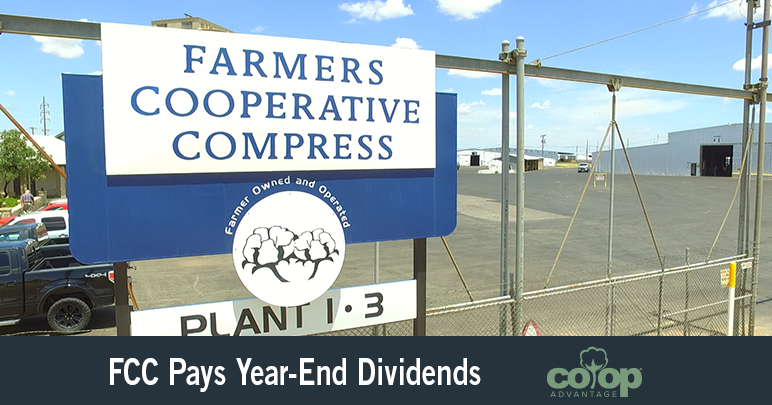 Stay tuned as we continue to open the books for the other Co-op Advantage regional co-sponsors’ year-end dividends in the months to come.